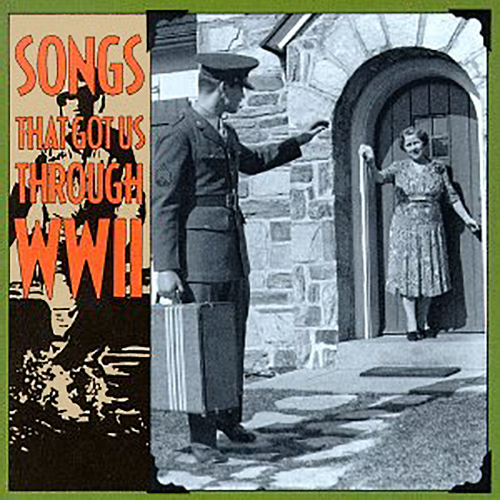 A piano/vocal/guitar songbook salute to the music and memories of WWII, including a year-by-year chronology of events on the homefront, dozens of photos, and 51 radio favorites of the GIs and their families back home. 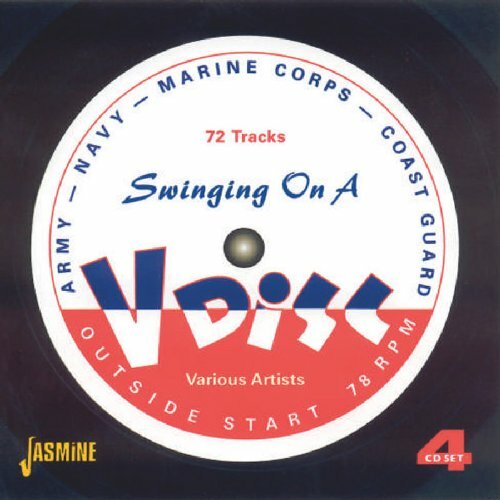 72 tracks from dedicated V-disc sessions or American Government sponsored broadcasts - nothing from commercial recordings. 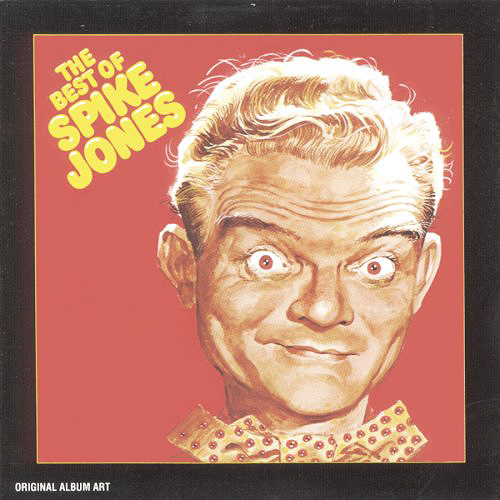 Spike Jones was a popular American musician and bandleader specializing in performing satirical arrangements of popular songs. 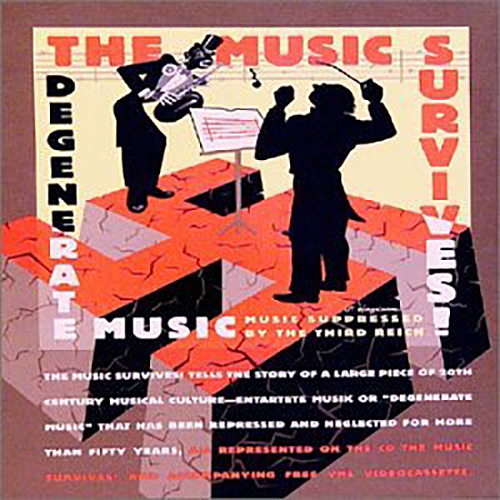 Ballads and classical works receiving the Jones treatment would be punctuated with gunshots, whistles, cowbells, and outlandish vocals. 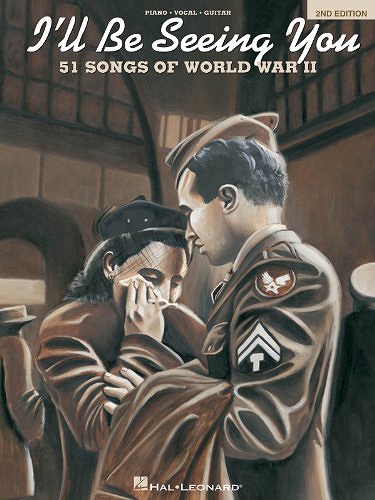 32 short subjects made for the war effort. World War II transformed the Disney Studio. 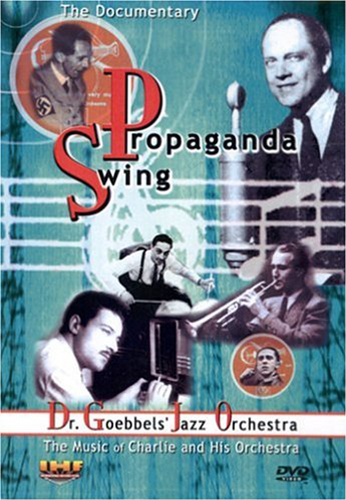 It spent the war years creating and producing training, propaganda, and educational films for the Armed Forces. 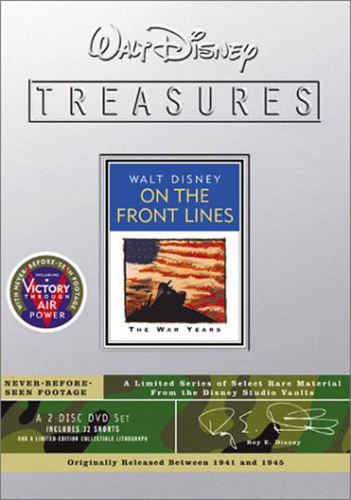 This extraordinary volume includes the full-length feature "Victory Through Air Power," Donald Duck's Nazi nightmare "Der Fuehrer's Face" and a host of others - all considered among the best of Disney's work. 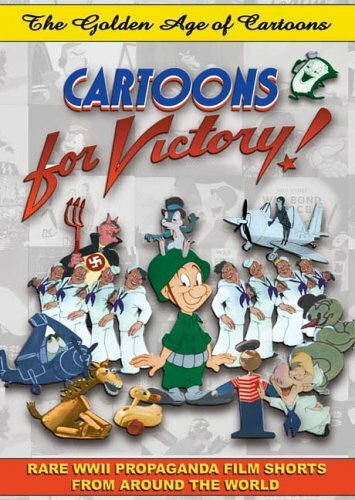 These World War II era cartoon shorts were never meant to survive past wartime and were all but forgotten since the mid-1940s. 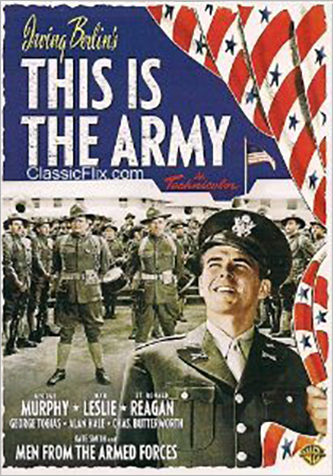 These Golden Age cartoon films serve as an interesting social document of the attitudes prevalent at the time. 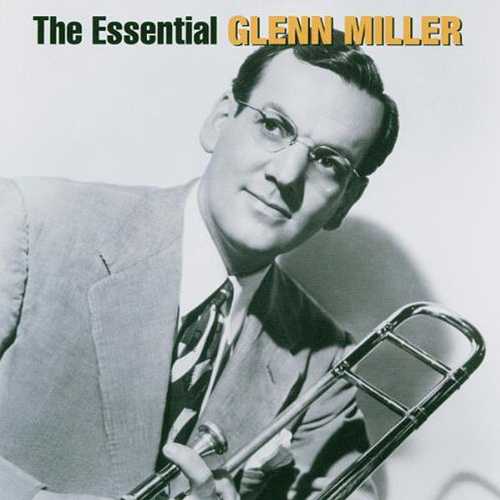 They may have rationed meat, milk, canned goods, and gasoline, but there was no limit to the musical talent during World War II. Vol. 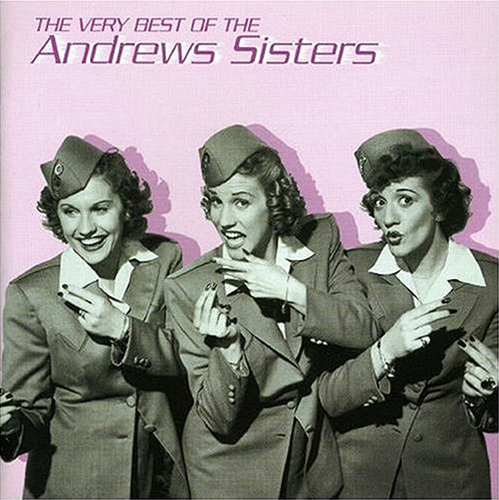 1 features many of the era's biggest artists, including The Andrews Sisters, Frank Sinatra, Duke Ellington, The Mills Brothers and many more. Sixty more of the most looneytic Looney Tunes ever unleashed. 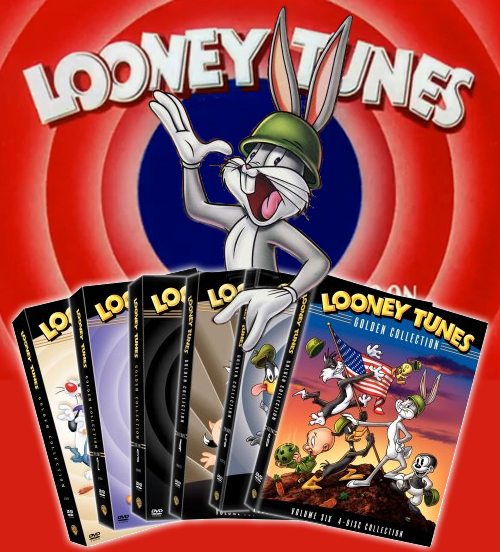 Plus, 15 bonus shorts to make this the biggest collection of Looney Tunes ever! Indeed, some have never before been on home video! Fifteen cartoons dating from World War II give much more focus than previous sets. Warner Brothers' Looney Tunes introduced the world to some of the greatest cartoon characters to ever grace the animated cel: Bugs Bunny, Daffy Duck, Porky Pig, Elmer Fudd, and many more. 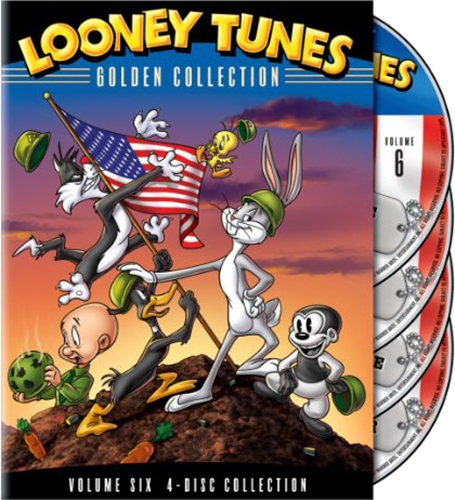 This release includes the first six volumes in the Looney Tunes Golden Collection.